French President Emmanuel Macron made an appeal to all Europeans on Monday (4 March) to re-launch the EU project by holding a conference “without taboos” before year’s end that could possibly lead to a new treaty. Macron’s appeal, made in all official 22 EU languages, is contained in an opinion article that was published simultaneously in several top European newspapers including Die Welt, the Guardian, El País and Corriere della Serra. “Never since the Second World War has Europe been so necessary. And yet never has Europe been in such a danger,” Macron wrote, in what many see as the start of his own campaign for the May European Parliament elections. 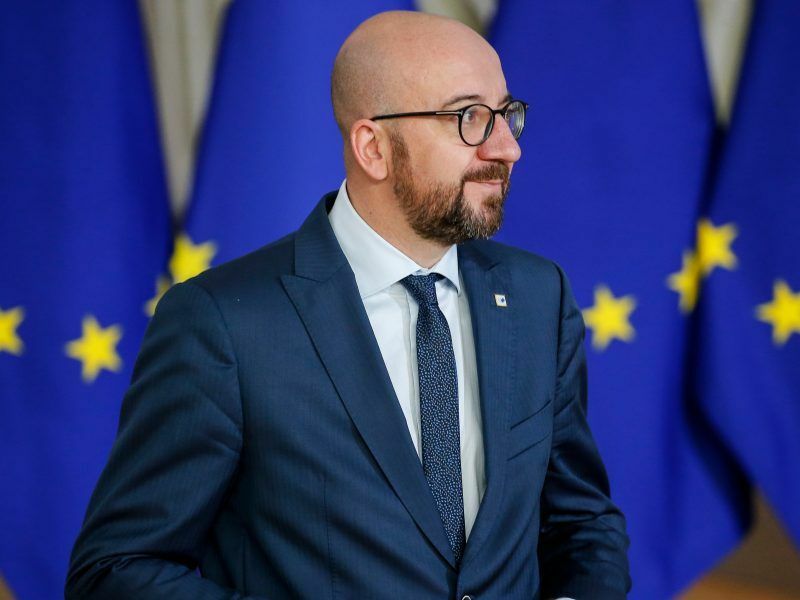 In the piece, titled “For European renewal”, the French president lists a series of initiatives the EU could take both to defend itself and to adhere more closely to its core values. In January, Macron suggested that the Brexit campaign – which saw the UK vote to leave the EU – was “manipulated from the exterior by a lot of what we call fake news”. Brexit, he said, was the symbol of Europe’s crisis “which has failed to respond to its peoples’ needs for protection from the major shocks of the modern world”. “Who told the British people the truth about their post-Brexit future? Who spoke to them about losing access to the European market? Who mentioned the risks to peace in Ireland of restoring the former border? “I propose creating a European Agency for the Protection of Democracies, which will provide each Member State with European experts to protect their election process against cyber-attacks and manipulation”, Macron wrote. Financing European political parties from abroad should also be banned, while rules should be agreed on banning “all incitements to hate and violence from the Internet”, he added. 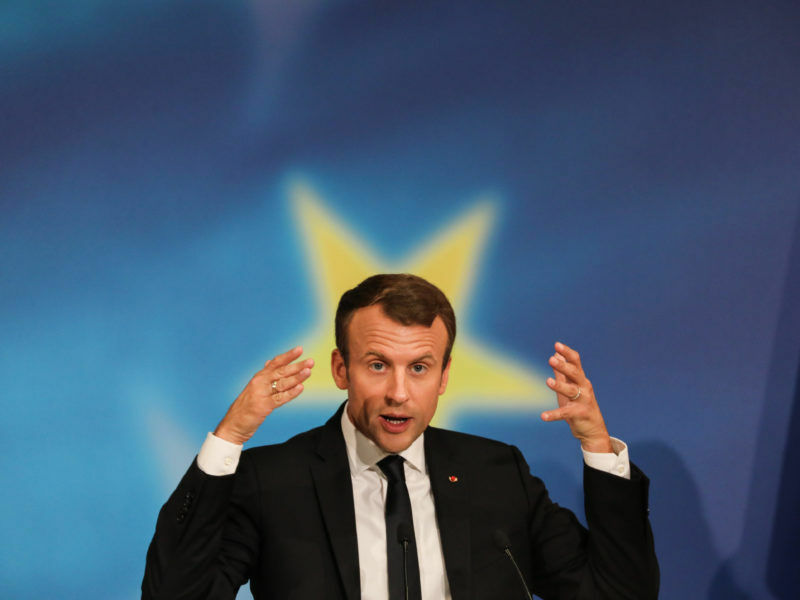 Macron, who has made no secret of his plans to form a centrist, pro-European alliance to stave off populist and nationalist movements on the continent, also suggested reforming the 26-member Schengen area which allows free movement between members. All those who want to be part of Schengen “should comply with obligations of responsibility (stringent border controls) and solidarity (one asylum policy with the same acceptance and refusal rules),” he wrote. The Visegrad countries of Central Europe in particular have rejected calls to take in their share of migrants arriving from the Middle East and Africa. Several EU politicians have called for the Visegrad countries to be ousted from Schengen. Macron suggested Europe should also share a common border force, along with a joint office for dealing with asylum requests. At the same time, Europe should seek to favour its own business interests, just as “our American and Chinese competitors do,” Macron wrote. Warning citizens against the threat of accepting the status quo, he urged them to seek change while preserving shared values. 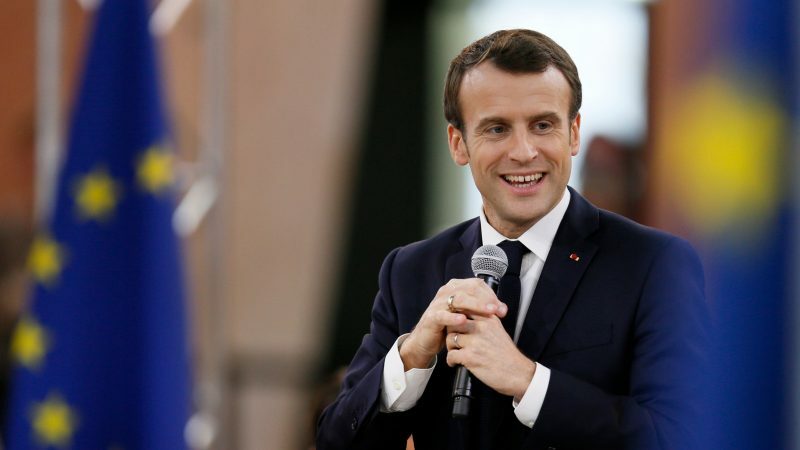 A “conference for Europe”, involving “citizen panels”, could be held before the end of the year “in order to propose all the changes our political project needs, with an open mind, even to amending the treaties,” Macron suggests. And even if some countries disagree, solutions could still be found in a Europe working at different speeds, the French President said. The proposed Conference for Europe “will define a roadmap for the European Union that translates these key priorities into concrete actions,” Macron writes. “There will be disagreement, but is it better to have a static Europe or a Europe that advances, sometimes at different paces, and that is open to all?” he argues. He also urged negotiating a new “treaty on defence and security”, and setting up a European security council that would include Britain to promote collective defence initiatives. In his Sorbonne speech in September 2017, Macron called for greater security cooperation in Europe and a common asylum policy. Treaty change, agricultural policy and debt: French President Emmanuel Macron attacked a number of previously untouchable EU taboos during a speech focused on reform, sharing ambitious proposals for Europe’s future with university students. EURACTIV France reports. But his ideas, until now, have met only lukewarm support from Germany’s leader Angela Merkel, while sparking outright opposition from right-wing government leaders in Italy, Hungary and Poland. The 41-year-old Macron upset France’s traditional political system by winning the 2017 presidential election, beating off Marine Le Pen, leader of the far-right National Front. Since then he has sought to liberalise the French economy, but this has sparked grassroot opposition with three-months of mass demonstrations by “yellow vest” protesters. In fairness – not bad but omits some realities. In the case of “citizen panels” this comes from ideas outlined in Van Reybrouck’s book “Against Eelections”. Open questions on this approach include: who picks the citizens, who informs them & will the politicos (who mostly seem to be born with tin ears) listen? Moving to the omissions. A detour into – yes Brexitland/Ingerland. Over the past 30 years, there has been a centralisation of power from local governments to central in the UK. This has been accomplished through the simple expedient of removing most money raising powers from local government. It would be fair to describe most Uk local governments as a basket cases – indeed on tory-controlled council (Northampton) is bankrupt. Note the “tory-controlled” bit. Oddly, Uk serfs still vote for this bunch of idiots. The key point in the above sad tale is “removing most money raising powers from local government”. Now substitute “euro-zone members” for “local government” and you have an analogous situation in the EU. Sure you can tax, sure you can spend, but print? I don’t think so – there are criteria governing that. Thus the EU problem is a money problem. The ECB (Inflation monomainiacs R Us) is locked in a 1920s time warp, there is no democratic oversight (varoufakis et al, ad nasueum) and much of what Macron proposes avoids the elephant in the room – money. In fairness to Macron, he tried once with Angie on the money thingy (France: null points) . The Euro money “problem” is a German money “problem”. Pieter Bofinger in Social Europe nailed it: ………Germany has a “schwarze Null, a balanced-budget rule introduced in the aftermath of the global financial crisis. There are no economic arguments in favour of the ‘debt brake’ (Schuldenbremse), which enshrines the rule in the German constitution. Moving back to Macron: unable to address the elephant in the room – money – his proposals amount to deck-chair re-arranging (a popular activity on the Titanic I understand) – feel good stuff. As a PS: I see Angie in an address to the German nation did a good imitation of Diane Fienstein in Calif’ – giving the school children a pat on the head (agreeing with their demos on global warming & the need for immediate action) whilst at the same time telling them to let the adults get on with it – a good example of a…………….. tin-ear. Good comment. Macron is not mentioning finance because that issue remains firmly in German hands and he is not welcome to comment. One observation though, and thankfully i am not an economist but with budget deficits and national debts of staggeringly huge levels in the US and elsewhere, the general criticism of Germany’s surplus in no small amount is rooted in spite and envy rather than genuine concern. They would somehow wring the money out of them to relieve their own problems but Germans will have none of that. Their attitude is, if you want to fix your problems then follow our example but don’t ask money for nothing. That attitude won’t change and eurozone integration and reform will continue a very slow process. Think globally, act locally. Somebody should write this on the wall for Macron to see. He was elected as a French president. His job is to address the problems of France, and France has quite a few problems. Instead of doing this, and in such way demonstrating his abilities, Macron is jumping to solve(or maybe create new) problems which he was not elected to do for now. And the doubts in his abilities are just bigger and bigger when we see quite stupid ideas about new agencies, as well as reforms in Schengen zone which nobody has requested from him. European citizens have not requested new treties , just the opposite , such federalist ideas have been rejected on referendums in several EU states including France. EU states expect observing the rules of the existing treaties…. How about the budget deficit for start? Who has a bigger deficit now, France or Italy? In response to both Gerry & Julian – we have two elephants in the room – a mummy one – money & a big daddy one – global warming and the need for an EU energy transition. The latter elephant needs the former. Current Euro-zone “structures” prevent meaningful funding of the transition – with the EC booting the problem back to the member states – who (for those in the Eurozone) have no solution and for those out of it – there are still daft anti-inflationary rules which they have to follow. “The state has no source of money other than the money people earn themselves.” a brainless statement in a class of its own.